Up and coming Mexican singer, songwriter and actress, Sofia Reyes, stops by to chop it up with Producer Sapphire of Frankie and Tati In The Morning. Sapphire puts her in the hot seat and gives her a few really tough questions in "Would You Rather" and Sofia reveals one of her biggest fears. Sofia also talks briefly about her boyfriend, new music and exciting collaborations she can't quite reveal yet. Thanks for stopping by Sofia! We look forward to hearing new music from you. Check out the video interview below! The young musician, Sofía Reyes, who started singing and playing piano when she was under ten years old, would upload videos of herself covering songs, which eventually managed to capture the interest of many, including Latin American singer Prince Royce, who went on to sign Reyes with his then newly created music label D'León Records. As the first singer to be signed to the label Royce created in partnership with Warner Music Latina in order to "support other young talent in their development," Reyes launched her debut single "Now Forever" (featuring American rapper Khleo Thomas) in 2013. Reyes, who is known for her upbeat bilingual (Spanish and English) lyrics, partnered with Puerto Rican singer Wisin and German producer Toby Gad to co-write the single "Muévelo," which was released in August 2014. Her subsequent single "Conmigo (Rest of Your Life)" was launched the following year. The music video for the latter song sees American singer/actor Kendall Schmidt of Big Time Rush and Heffron Drive making an appearance as Reyes' love interest on a secluded beach. In January 2016, Sofia released her third single "Solo Yo", a heartfelt ballad and her first singing collaboration with mentor Prince Royce. Both are featured in the official music video. Then after a series of on-going stints, She released her debut album Louder! on February 3, 2017. 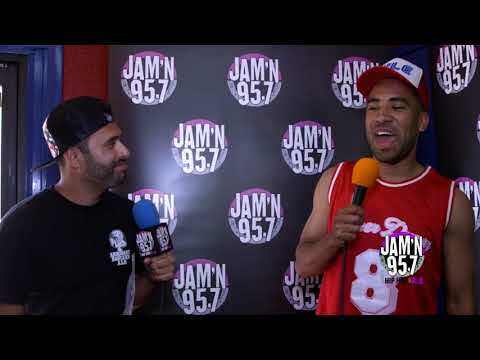 Check out more Hip Hop & RnB Music Interviews In San Diego.